The epitome of sports watchmakers Tag Heuer’s vast array of gentlemen’s dazzling watches come in a plethora of shapes and styles. The Tag Heuer Men’s CAV511C.BA0904 Grand Carrera Automatic Chronograph Black Dial watch lives up to these fabulous Swiss manufactured watches in every way. With it’s black dial with silver hands and exceptional stylish design this timepiece makes a great fit for any occasion or outfit. Whether it’s a fishing trip or business occasion this watch will not disappoint. 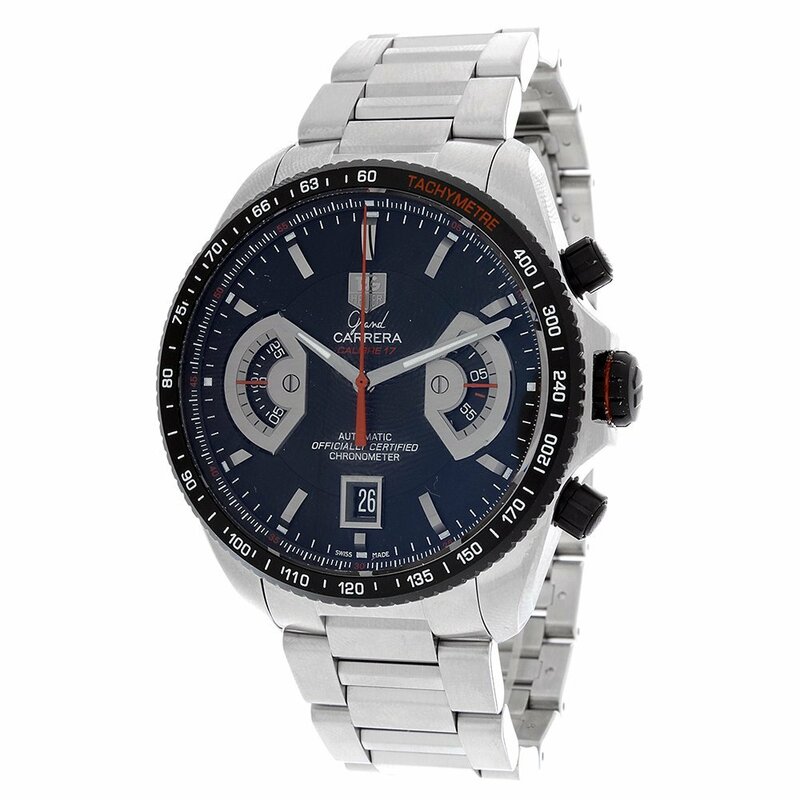 The Tag Heuer Men's CAV511C.BA0904 Grand Carrera Automatic Chronograph Black Dial Watch. Round stainless steel case and silver band. Deployment clasp with double push button safety. Swiss self perpetuating automatic movement. 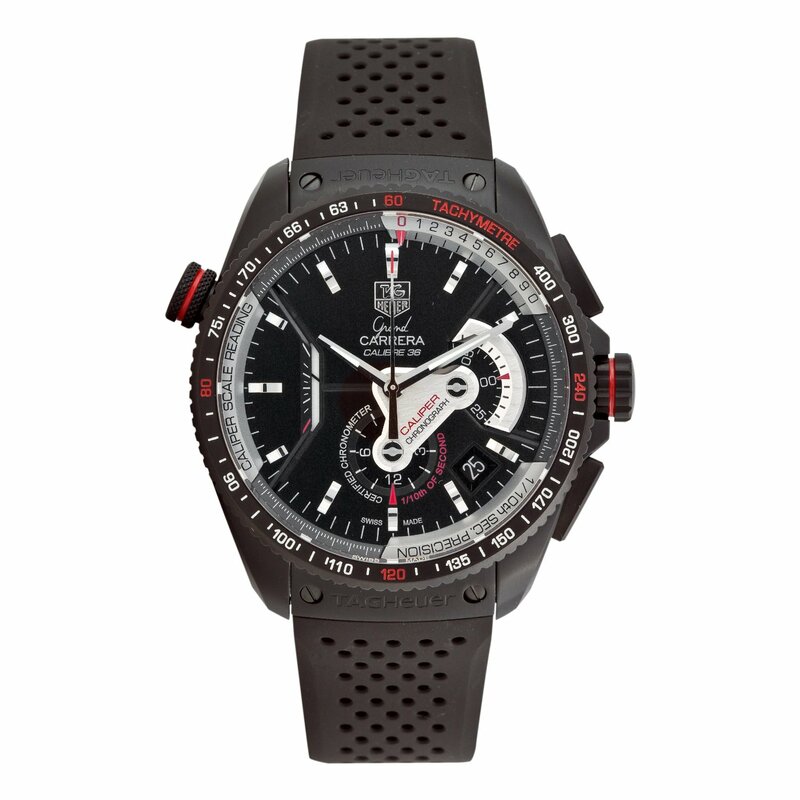 Unidirectional black titanium bezel, with tachymeter function. Shock resistant and water resistant up to 330 feet. Date display at the 6 o’clock position. Index hour and minute markers around outer rim. This luxury watch inspires even the stanchest sports fanatic, however there are several things to watch out for if you get this watch. The lack of numbers at the hour position may make it difficult for the reading impaired to decipher the time. The link band may pinch, so watch out, and the water resistant feature may be built for the shower, but I wouldn’t take it out diving. The Tag Heuer Men's CAV5185.FT6020 Grand Carrera Automatic Chronograph Black Dial watch. The Tag Heuer collection comes with a variety of watches in different colors and textures. The Tag Heuer Men’s CAV5185.FT6020 Grand Carrera Automatic Chronograph Black Dial watch is just one of these great options. This watch comes with a black dial and a black wrist band, making a great alternative to the CAV511C.BA0904 Carrera watch. The CAV511C.BA0904 Grand Carrera watch is currently not available on Amazon and it is out of stock at Joma Shop. However, you can get it at Watchesonnet for $ 3,975.00 and at many other online retailers as well. Does this watch fit you? Does it fit your budget? 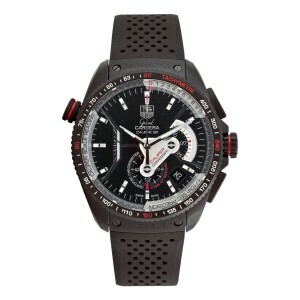 If you are looking for a watch with style and sport in the same description, then this is the watch for you. With the fantastic features and great price this watch will be worth every penny.